This is a reminder that the phenomenon is so entrenched that it could even be classified as a part of our political culture. Is corruption an art form? Or is it a part of our culture? But if the venue of Thailand's "Museum of Corruption" is any indicator, it could be both. 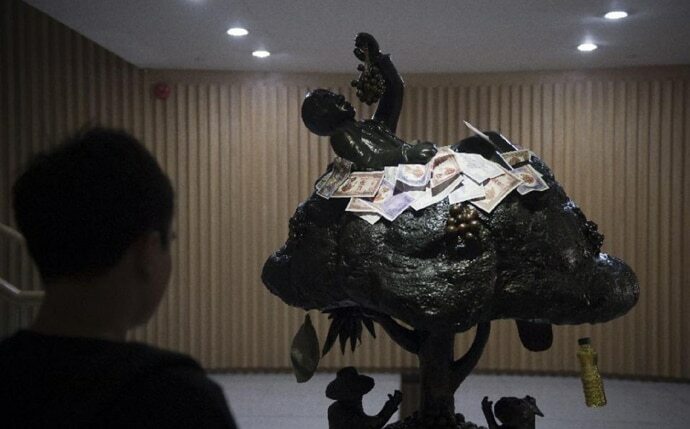 Ten sculptures depicting ten major corruption cases, which are a part of an exhibit at the "Bangkok Art and Culture Centre" are a reminder that corruption can be an "art" form, and that the phenomenon is so entrenched that it could even be classified as a part of our political culture. For a country that ties with India to occupy the 85th rank in the list of most corrupt countries, Thailand's recently opened museum is unique in many ways. No one is named, but even a cursory glance at the sculptures provides enough indicators as to the people who are sought to be shamed by these exhibits. This display is a pointer towards the rice-pledging scheme introduced by Thailand's ousted Prime Minister Yingluck Shinawatra. 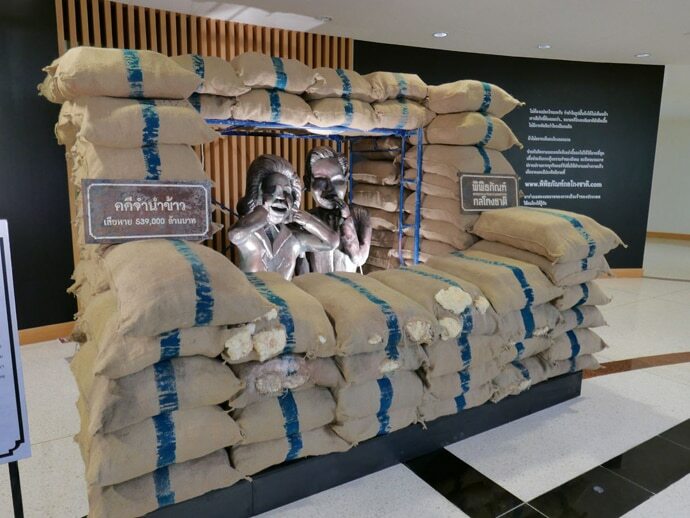 One exhibit has a man and a woman positioned behind rice-bags - a pointer towards the rice-pledging scheme introduced by Thailand's ousted Prime Minister Yingluck Shinawatra. The sculpture does not say so, but everyone could decipher this. Only two days ago, former Thai army chief and current Prime Minister Prayut Chan-o-cha had warned Yingluck that she could receive a Bt500 billion bill for her rice-pledging scheme. 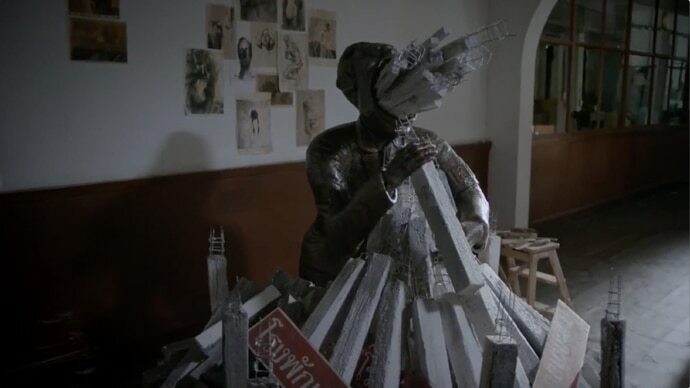 Another sculpture has a man gobbling what looks like building pillars, pointing towards the scam involving the construction of 396 police stations in Thailand. This scam, came to light during the tenure of Yingluck's predecessor, Abhisit Vejjajiva. The scam involving the construction of 396 police stations came to light during former Thai PM Abhisit Vejjajiva's tenure. That the organisers want the alleged culprits to be shamed without naming them was evident from the inaugural event, as well as their subsequent media interviews. But is the exhibition political? While the organisers have included scams emerging from the tenure of both major political parties, the drive against corruption is often used as a political tool to attack opponents. One of the reasons cited by the military junta for ousting the Yingluck Shinawatra government was corruption during her government. Her brother Thaksin Shinawatra too was ousted by the military, and the charge sheet justifying his ouster included numerous corruption charges. The fact that the former army chief and current Prime Minister Prayut Chan-o-cha was guest of honour at this exhibition indicated some kind of political patronage from the ruling military junta towards this artistic venture. No one is named and yet the finger points at everyone. In recent months, the military junta has launched a clean-up operation in Thailand. No one says so, but the implication is that democratically elected governments tend to be corrupt, and the armed forces have to intervene to launch clean-up operations. Something we hear not just in Thailand, but an argument that emerges from incessant TV talk in Pakistan, where, despite an elected government, the military seems intent on cleaning the system. Not that the term "Museum of Corruption" is unique either. When Viktor Yanukovych was ousted as president of Ukraine, his 140-acre estate was opened for crowds and was quickly rechristened "Museum of Corruption". But the Thai adaptation has been unique. They are calling it as the world's first "Museum on Corruption," where the exhibits have been created on specific corruption scandals. The exhibit names none and yet attacks everyone.